My Great Grandmother was a character. She loved to quilt, play Canasta, and cook. We would regularly make the four-hour drive to see her. It was not uncommon to step into the small house and see her table already set. You knew she had been cooking for hours, but having family around was something that brought her so much joy that the drive was always worth the effort. She made a lot of different dishes, but this is the one I remember her fixing the most. Maybe it is because, even though my Great Grandma lived in the Salinas Valley in California, she grew up in the Ozarks. Homestyle cooking and hospitality were a way of life for her and something she passed along to her children, her grandchildren, great grandchildren, and even her great-great grandchildren. By the time she was ninety she had shrunk in height and weighed barely anything. Her thick glasses only accentuated the twinkle in her eye as she watched everyone eat the meal she prepared and gush over the dessert. She knew the value of simplicity in her life as well as in her cooking. 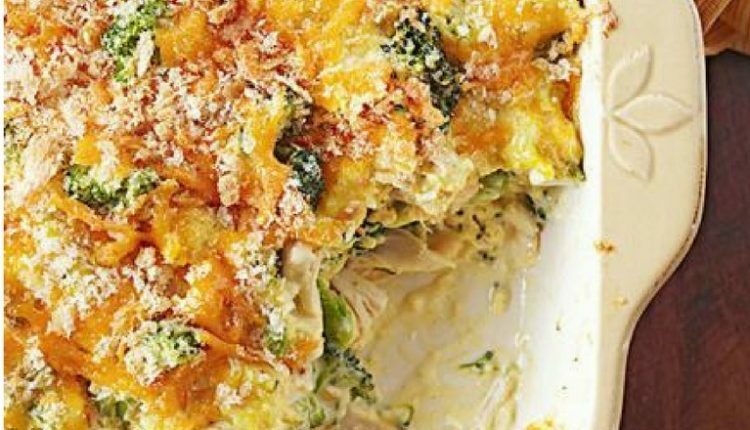 Quick Tip: Sometimes making a big casserole can be too overwhelming. Try making this in small loaf pans and freezing. Then take out the small “casserole bricks” and wrap in Saran Wrap. You can take out a nice little serving the night before. So simple and practical, just like my Great Grandma!